New passport within the hour. Take a queue ticket and get married. Stay in your car and get drive-in service. 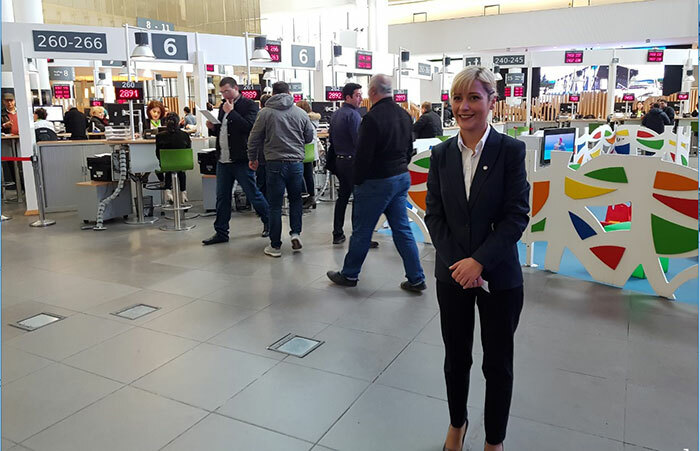 In Georgia’s capital Tbilisi, the 14,000 people who visit Public Service Hall every day wait no more than seven minutes to get their business dealt with by 400 operators working at maximum efficiency. Sounds like utopia, doesn’t it? But this is already a reality in the small country of Georgia, where the Public Service Hall agency has a presence in 16 cities. Just imagine having the passport authority, tax office, employment office and social services all under one roof, in an architecturally stimulating building that is a far cry from the dull public authority edifices you’re used to. Tbilisi’s Public Service Hall, for example, looks like a mushroom forest, while in the city of Mestia the building resembles a collection of large harps leaning towards one another. Customer satisfaction levels are high – 94 percent are very happy with the service they get with the help of Qmatic’s platform Orchestra, which includes queue management, work force allocation, customer journey analysis and customer surveys. “Georgia has a population of just 3.7 million and in terms of GDP it’s smaller than countries like Libya, Estonia and Botswana. 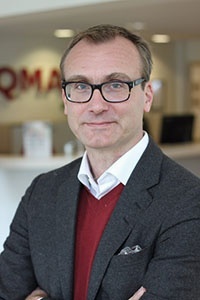 Public Service Hall has been a success in Georgia, where the aim has been to offer everyone access to the best service, no matter where they live,” explains Oskar Fajerson, Senior Vice President of EMEA APAC at Qmatic. Oskar Fajerson sees major potential and an exciting future for these kinds of services both in Georgia and in other parts of the world. The trend with Public Service Halls will primarily be developed in countries where citizens do not make their affairs online. “We believe the trend of public authorities increasingly coordinating their services is here to stay. Such a solution becomes more appealing as services are improved and made more efficient,” concludes Oskar Fajerson. Tbilisi’s Public Service Hall in Georgia is rather unusual looking. The architecture plays an important role here. You don’t have to wait for months to get a new passport here. At Tbilisi Public Service Hall, it takes just one hour. 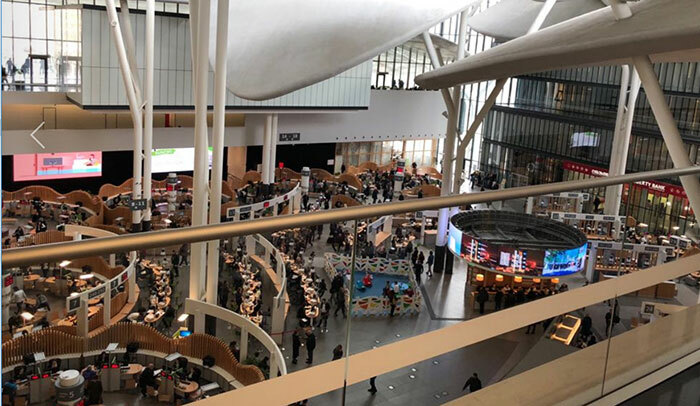 And if you want to get a bite to eat while your passport photo is being processed, you can get lunch in the building’s restaurant. “We have 14,000 visitors every day needing various kinds of assistance,” says Mariam Latsabidze, Deputy CEO at Tbilisi Public Service Hall. Qmatic’s platform Orchestra is the world’s most robust solution on the market. In Tbilisi, Orchestra’s services manage IT security, payments and processing, video surveillance, cash handling and queue management. Meanwhile, 400 operators ensure the service runs as smoothly as possible. Come in and get married! Public Service Hall in Tbilisi has a fast-track service for anyone who fancies getting married. If you’re in a real hurry, you can use the Just Drive drive-in service. 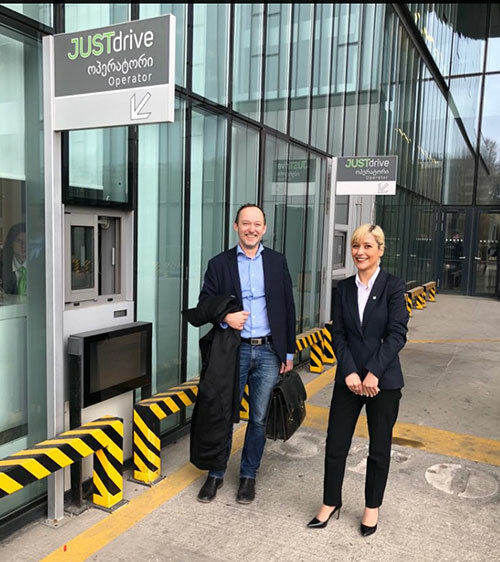 “Welcome!” say Oskar Fajerson, Senior Vice President of EMEA APAC at Qmatic and Mariam Latsabidze, Deputy CEO at Tbilisi Public Service Hall. As head of global marketing, Peter plays a key role in driving the worldwide vision of Qmatic. With 20 years of experience in the technology industry, he brings expertise and innovation to Qmatic's goals for transforming customer experiences.